I’m back home! It was a wonderful month in New Zealand, teaching and escorting 17 wonderful quilters and friends on a quilt and textile tour. Because Internet access was limited, I haven’t been able to keep you posted on my trip, but now that I’m back I’ll bring you up to date. 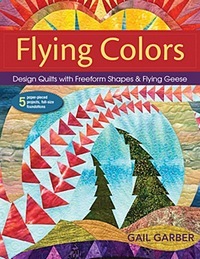 Following classes in Auckland, I headed up to Northland with friends Kerry and Marion Manson. This part of my journey was all about relaxation. 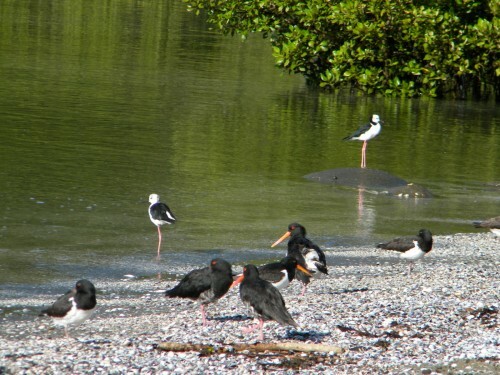 We walked on the beach, where I got my first glimpse of some of New Zealand’s shorebirds, Pied Stilt and Pied Oystercatcher, which interestingly comes in bi-colored or straight black plumage! And, I remembered my fondness for Flat Whites. 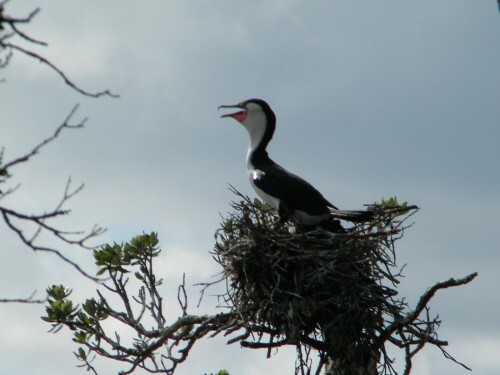 We took a boat trip out to Goat Island, where I was surprised to see this Pied Shag building a nest. It’s fall down there! My thought was, “How weird is this? These birds must be confused!” But, it was me who was confused, because when I looked it up in my guide book, I discovered that they have two nesting seasons, spring and fall. It makes sense, biologically, since the weather is rather tropical in this part of New Zealand. 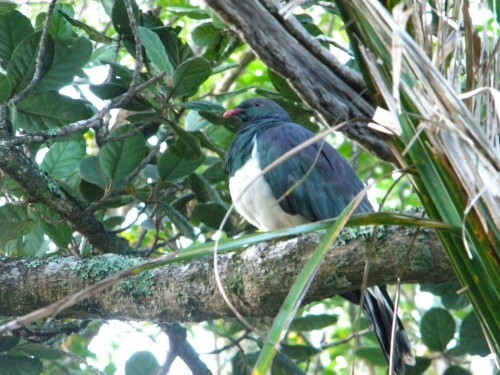 This native Wood Pigeon posed for the camera, perched in a tree beside the deck of the batch that we rented. This is what New Zealanders (Kiwis) call beach houses. 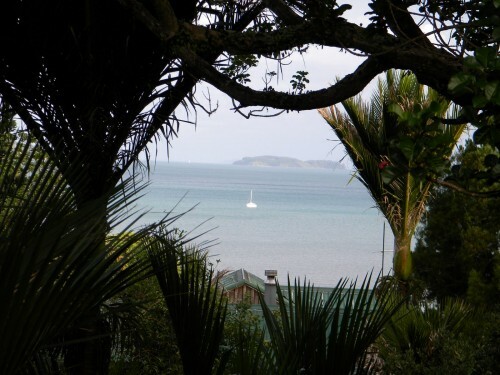 The view from our balcony, looking out toward Kawau Island, our next destination!